Suds Summit – What a Great Idea! When President Barack Obama said the arrest of Professor Henry Louis Gates was stupid, he was right. It doesn’t mean Sargeant Crowley is stupid. It means that, in that moment, he made a stupid choice. It also brought to light that the election of President Barack Obama last November did not end racism. I read today that President Obama’s approval rating slipped almost 10 points because of the way he handled this situation. I wanted to write this today, because his approval with me went up, on the way he handled this. Barack Obama suggested the two men sit down and chat over a beer. Great Idea. This incident between Professor Gates and Sargeant James Crowley has captured the nation. Everyone has jumped on the racism band-wagon and President Obama is trying ease the tension surrounding this incident. I think sitting down for a cold one has helped cool a lot of hot tempers. Vacationing in Newfoundland this Summer! This is the first year in many years I am staying home and vacationing in Newfoundland. Taking in many of the festivals and events that happen in our province. There are some great things going on in Newfoundland this summer. Klondyke Days in Bay Roberts, in Conception Bay. On now, and will continue until August 3rd. 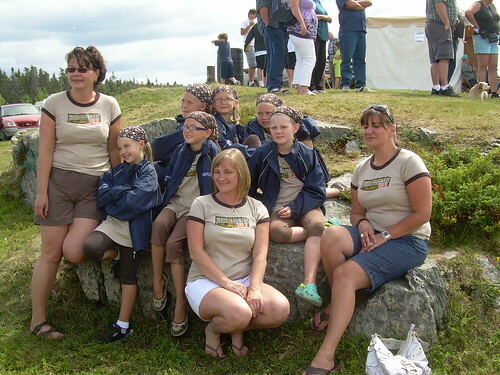 The Town of Bay Roberts puts off a fantastic 10 days of events for the entire family. Including 3 great tribute concerts, including the Stars of Pop – tribute to Hannah Montana and the Jonas Brothers for the younger ones. Thunderstruck, North America’s #1 Tribute Band to AC/DC, and Bon Journey, Canada’s favorite tribute band to Bon Jovi and Journey. The Brigus Blueberry Festival is also just around the corner. The town of Brigus is one of the prettiest places you will ever visit, and this Blueberry Festival is going to be fun. I have already been to Bonne Bay this summer with my nephews, and in August I am looking forward to taking them to Rocky Harbour and Cow Head. In Cow Head is the annual Gros Morne Theatre Festival. The Gros Morne Theatre festival features nightly entertainment consisting of dramatical and musical performances depicting the Newfoundland way of life as well as a reflection of our pass. With the nationally and internationally recognized “Tempting Providence”, “Neddy Norris Night”, “The Ethie Dinner Theatre” and other performances, a night at the Gros Morne Theatre Festival will add tremendously to your visit to Cow Head and to Gros Morne National Park in general. There’s also Markland Days, the George Street Festival, the Bartlett Celebrations, Rising Tide Theatre, the Stephenville Theatre Festival, Deer Lake Strawberry Festival, and many many more Festivals. I was reading a Time Magazine article recently on mourning the lost art of Handwriting. Here is the article if you would like to read it as well. And I would like to add a few comments. I realize there is a young generation of people that text more than they talk, however, one day these people want to enter the work force. My advice is don’t let the handwriting skills slip you by, and face to face communication skills are needed if you are going to succeed. So its fine to text, I do it myself, but you have to open yourself to and learn other forms of communication. I have been stating for a long time that the generation of young people who soley communicate through computer, and their free time is spent with an X-Box, are not doing themselves any favors, because in the Business world, a broader skill set is needed. Unless all these young people intend to be computer programmers, they need to broaden their horizons. It’s up to us to ensure our young people read more, write more and learn more than what’s available on an X-Box. And don’t forget to write that handwritten note. 147th Running of the Harbour Grace Regatta! If there is one thing to say about the province of Newfoundland, there are events all over, for every age group, and for every member of the family. 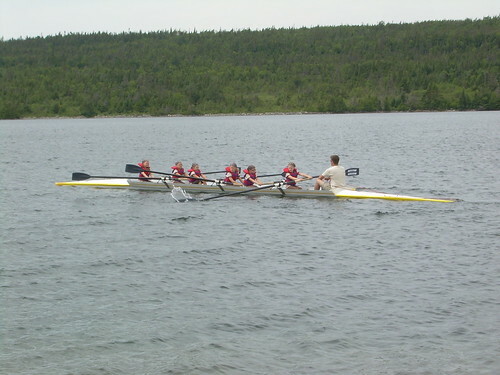 This was my first time taking in the Harbour Grace Regatta. It was the 147th Running of the Harbour Grace Regatta, which makes it the second oldest sporting event in Newfoundland, second only to the historic St. John’s Regatta. KIXX Country Radio was delighted to sponsor a first-time team of Rowers. They were 8 years old, rowing for the first time in the ‘Girls Under 10 Division’. And even though the oars were bigger than the girls themselves, they made excellent time, and did everyone proud. I have included some pics of the fabulous girls and say hats off to their accomplishments. If I had to row the distance they did, I would still be on that lake today. Today is my birthday. For the first time in a long time, I am away on business, away from family and friends. I usually spend my birthday is the great company of my friends, and we drink wine, and rejoice in the celebration that we are all healthy. We don’t take it for granted. It’s a gift, and we celebrate and rejoice that very precious gift. Being away from everyone, though, gives me a chance to reflect at some of the things I would like to accomplish in the coming year. I think of Morgan Freeman’s line from the movie “The Bucket List”…. Have you brought joy to others. I think that’s a great start to the upcoming 12 months. When I took this assignment, which meant being away from home for the better part of a year, I had some things I wanted to accomplish. I wanted to read more. With no television – that’s being done. I wanted to get in better shape – again with no television in my life, I get closer to that goal every day with exercise. I wanted to volunteer more (need to check into that) and I wanted to improve upon my public speaking. One of the great joys in my life is sitting down with a good book and a glass of wine. I am doing that, which brings alot of joy to myself. Plus, exercising 6 out of 7 days a week, and the results I am seeing, is also bringing joy. So, although I miss family and friends a great deal, I am finding joy in this assignment. Not to mention the joy that accomplishing the task will bring. That brings me to the bringing joy to others. I am putting this in writing, I am going to volunteer more. It is important that I find something that brings joy to others, who otherwise may not be experiencing joy in their lives. I recently got to try a Chateaunneuf de Pape for the first time. Many of my wine loving friends have told me it is by far their favorite wine, but when the ‘cheapest’ bottle in our liquor store starts at $50, its not something you want to gamble on. Recently friends of mine were given a bottle, and they knew I had been dying to try a Chateaunneuf de Pape, so they saved it till I came over, and we opened it up. And I have to say, I was not disappointed. I loved the smoothness of the wine. And although it was smooth, it has enough body to enjoy with many foods, including a steak. Chateaunneuf du Pape is known as a ‘food wine’, because it goes great with most foods. I am also a fan of packaging, and this was one of the best. They have made it look like an ‘old antique’ bottle, and I loved it. More so, I loved the wine inside. Chateaunneuf du Pape is a wine named after a region of the same name in the Rhone Wine region of France. Chateaunneuf du Pape means “the Pope’s new castle” and dates back to 1308 when Pope Clement V became a big fan of the wine and the wine became known as ‘Vin de Pape’ or Wine of the Pope. And a little later the term was changed to Chateaunneuf du Pape. If you have more brands of this wine that you have tried and enjoyed, please let me know.